I was energized after my Spring - Easter class this week end so while I was putting away supplies today, I quickly put together this card. 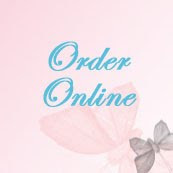 It's fairly simple, using one of my favorite sets for Spring, Butterfly Basic. While it might not be Spring in other parts of the country, here in Texas it is almost shorts and sandals weather. Our back yard received a planting of regular grass by my dear husband a couple months ago, which grows great in Texas "winter" weather. We've ended up with a back yard that looks like a big Easter basket with lovely green grass. The Spring Flower on this card is how I feel today! The sentiment is from the Suite Sentiment set from the Occasions catalog. Old Olive is the main color used on this card. Its used for the card base, the leaves on the Butterfly Basics set, the punched butterfly and the paper from the Brights Designer Series Paper Stack. The accent is Basic Black with a small piece of lack and white Baker's Twine. During our Spring-Easter class this weekend, we spritzed our mini egg carton before decorating them. Photos from the class are in a photo album on my Meetup site. Since I had all of the supplies out and ready, after class I spritzed a bunch of them for my own use so I'm ready for Easter. I love the different shades you can get based on how much you spritz. I used the In Color reinkers and alcohol and ended up with many lovely Easter colors. One word of warning: My index finger got numb from all the spritzing I did! Our little Stapin' Up! spritzers are fine for one or two egg cartons, but if you plan to spritz a large batch of mini egg cartons, I highly recommend a larger spray bottle! I'm still waiting for full feeling to return to my index finger after several hours. Sale-A-Bration ends March 31. That means only 5 more weeks to select a free gift with every $50 purchase. Stampin' Up! added three more free selections you can choose from when you make a $50 purchase. 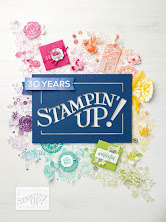 Not only is this a great time to purchase from Stampin' Up! 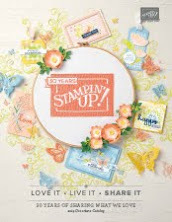 to get free Sale-A-Bration selections, this is also the best time of the year to Join Stampin' Up! as a demonstrator. Both offers end March 31. Become either a hobby demonstrator to make new friends and enjoy demonstrator product discounts of 20-25% on product purchases. Or you can turn your hobby into a business where you are your own boss, work your own hours, and do something you love! 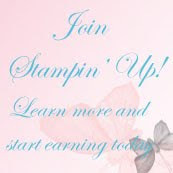 Extra sign-up bonuses during Sale-A-Bration makes this the best time of the year to sign up as a demonstrator.